Many people associate calcium with strong bones, but for athletes and weekend warriors, calcium is also important for the healthy functioning of nerves and muscles. It fuels our activity. When most of us want to increase our calcium intake, we reach for a glass of milk. 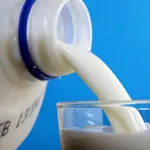 But for many people the lactose in milk is difficult to digest, or we may be concerned about the increasing amounts of hormones and antibiotics being fed to cows. The following foods are not only great calcium sources, but also rich in other nutrients and low in calories. Compared to milk, the calcium in these foods is easier for our bodies to break down, absorb, and use. Spinach is a great leaf that can be thrown into anything – smoothies, eggs, a stir fry, or salads. It is easy to consume a lot of spinach, especially if it's cooked or blended into a drink. Spinach is high in vitamins A and K and protects against inflammation, oxidative stress-related issues, and bone problems. Spinach will also work as an antioxidant. Steamed kale is one of the most nutritious vegetables you can eat. Bursting with vitamins and minerals, kale also offers cholesterol-lowering benefits and dietary fiber. Kale has been found to lower the risk of cancer of the bladder, breast, colon, ovary, and prostate. Also known as turnip greens, these bitter leaves can be steamed for maximum nutrition. They offer detox support, antioxidant, and anti-inflammatory benefits. They support our cardiovascular and digestive systems and have also been linked to the prevention of breast cancer. The known benefits of these amazing little seeds date back to 1600 B.C. In addition to calcium, they are a great source of magnesium, iron and zinc. They are easy to sprinkle on top of meals or salads, and they are known to support our respiratory system. They are also helpful in bone health and lowering cholesterol. These seeds can be sprinkled on top of cereal, oatmeal, or thrown into a smoothie. They are rich in Omega-3s, an essential fatty acid that is often lacking in our diets. Chia seeds offer protein, fiber, and potassium. Chia sprouts can be used in sandwiches or salads, and ground chia seeds are great for baked goods. Try adding these foods to any diet as preferred calcium sources. Vanessa Rodriguez is the former nutrition editor for Active.com, and author of The Summit Seeker. She is a Registered Holistic Nutritionist and an avid ultra-distance trail runner. Keep up with her adventures at vanessaruns.com.